Does anyone else see a face with the headlights, the emblem, and the fake grill above the plate? It does! It looks just like you would expect it to. 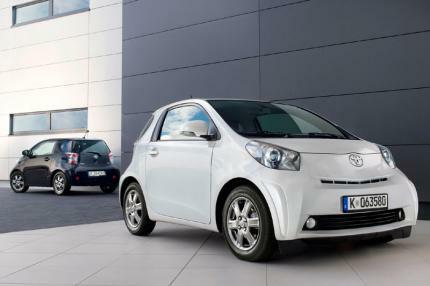 After all, it's a toyota microcar! Hey i think it looks great! Zanussy it may be but it gets the job done. I would actually love to own one of these for city driving. As far as glamour goes - it's really no better than driving in a washing machine on wheels.> 16 valves on 3 cylinders - how is that possible? 5+5+6? Well, on paper it may be. But in reality it not. Just like Porsche 911 or Lotus Evora are not real 4 seaters. Even some 4-door hatchbacks, like BMW 1-series, can't handle 4 adults properly. 16 valves on 3 cylinders - how is that possible? 5+5+6?